Rosewood Condominium is an exclusive development project with a resort theme. It comprises of 437 units, and is ideally located near Woodlands MRT Station and Causeway Point. It offers full recreational facilities, which includes five exquisitely themed gardens and 2 swimming pools. Rosewood Condominium is in close proximity to the Woodlands regional centre, Causeway Point and The American School. Amenities like supermarkets, shops, eating places can be found in the Woodlands neighbourhood. 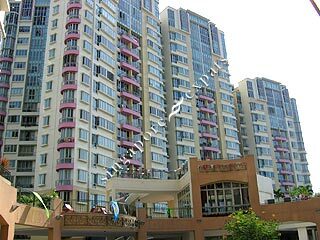 Rosewood Condominium is also near to the Singapore American School. Rosewood Condominium is accessible via the Bukit Timah Expressway (BKE) and Seletar Expressway (SLE) to various part of Singapore. Travelling to the Business District takes about 30 minutes and it takes about 20 minutes to go to Changi Airport using the Tampines Expressway (TPE).